Buy Online Now! 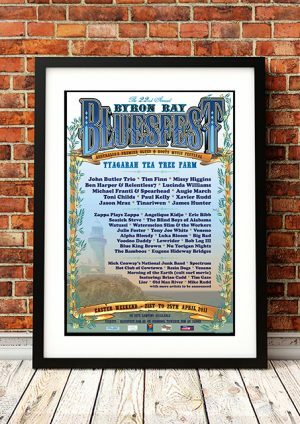 - John Butler Rock Concert Posters and Memorabilia. 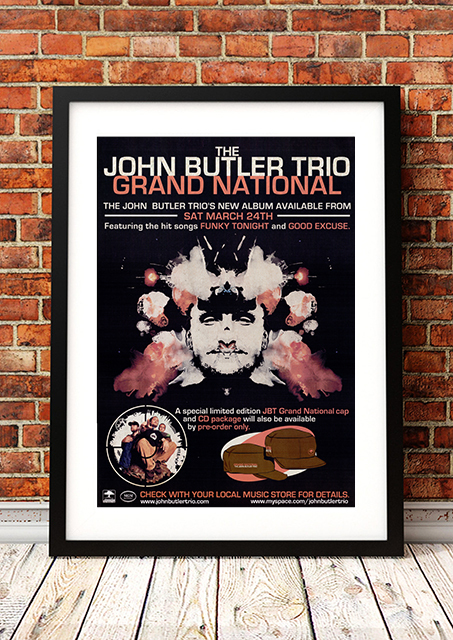 John Butler was born in the United States and moved to Australia at an early age. He began playing the guitar at the age of sixteen. He was a busker on the streets of Fremantle playing his own compositions and in mid-1996, he released a self-recorded cassette of his instrumentals which sold 3,000 copies. Since then, The John Butler Trio has recorded five studio albums including three that have reached number one on the Australian charts. In 2002 Butler, along with several partners, formed their own record label. He is also the co-founder of a grant program that seeks to improve artistic diversity in Australia. 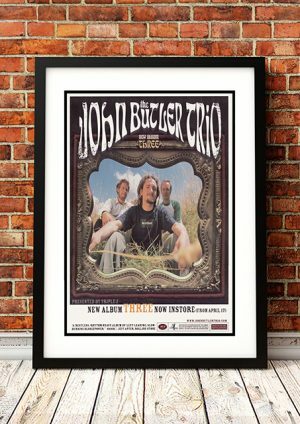 We stock a great John Butler Trio band concert poster.